What are the Current Real Estate Market Conditions for Hyde Park? 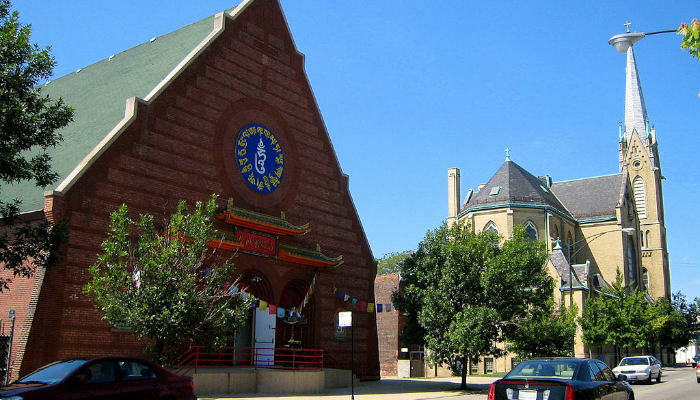 One of 77 designated community areas in Chicago, the Hyde Park neighborhood is home to some of the city’s most beautiful and iconic institutions, ranging from the Museum of Science and Industry to the world-renowned University of Chicago. 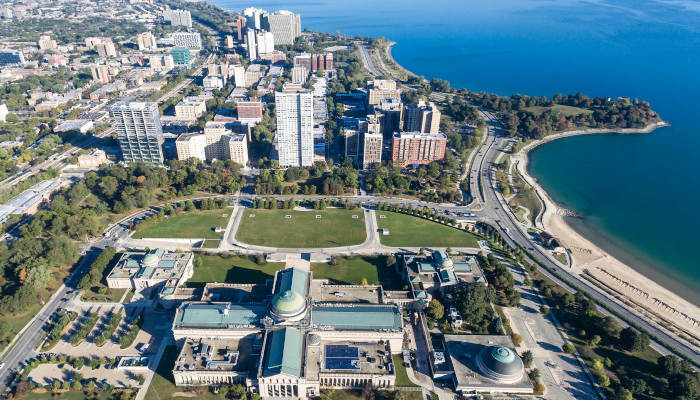 Located about seven miles south of the Loop, Hyde Park is officially bounded by 51st Street/Hyde Park Boulevard to the north, the Midway Plaisance to the south, Washington Park on the west, and Lake Michigan on the east. Some locals stretch their definition of Hyde Park to include some of the southernmost parts of Kenwood, which is, officially, a separate community area. A popular destination for locals and tourists alike, Hyde Park played home to the 1893 World’s Fair. Also known as the Columbian Exposition, this major turning point in American history introduced the idea of electricity – not to mention the modern ferris wheel – to nearly 30 million people. Today, Hyde Park still has plenty to offer, including Frank Lloyd Wright’s world famous Robie House, great access to the beaches of Lake Michigan, the DuSable Museum of African American History, and the Hyde Park Art Center, which has been an influential institution in Chicago’s art scene for decades. Read more: What are the Current Real Estate Market Conditions for Hyde Park? Take a look at this beautiful tri-level townhome. A part of Chicago history, this gorgeous structure was formerly the Norwegian Consulate building. Now, it offers the best of boulevard living in the heart of Logan Square. The home offers a distinct split layout with a private entrance. Entering the home, you're greeted by an open living, dining, and kitchen setup, with ample room to entertain and cook. The kitchen features maple cabinets and granite countertops, with refinished hardwood floors throughout. A powder room on the main floor provides convenience for all. Head downstairs to find an ample family room, the master bedroom, and a generous marble bath. The washer and dryer are contained off the lower level family room. Above the main floor is a lofted second bedroom with full bath. This versatile space could also be used as an office, studio, or family room. Listing includes one garage parking space. The location puts you in a prime spot to enjoy the best of Logan Square living, offering close proximity to the Square, public transit, retail, restaurants, nightlife, parks, and so much more. For millions of Americans, taxes can be a real pain – but getting that refund, when all is said and done, can be a sweet treat. According to data from CNN and the IRS, roughly 80% of US taxpayers receive a refund, with the average federal refund clocking in around $3000. 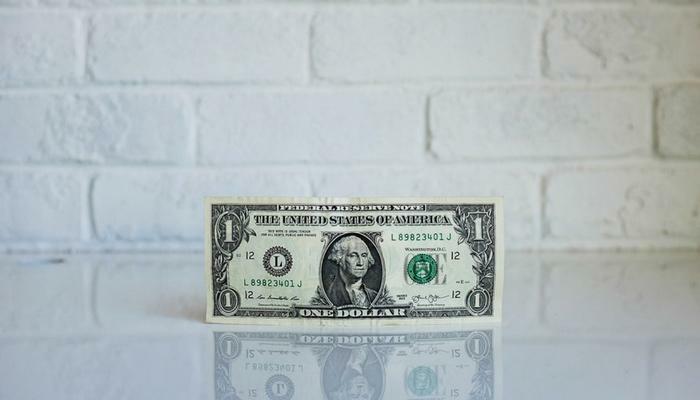 That’s a pretty significant chunk of change to have deposited into your account overnight – and lots of people have big dreams for that annual payout, whether it’s taking a vacation, saving up for a major purchase, or helping to pay off their debts. Ultimately, the best use for your tax refund will come down to your unique personal and financial situation. With that said, one tried-and-true way to spend your refund is to put it into your home. With a refund check in hand (or, let’s be honest, direct-deposited into your bank account), the possibilities can seem endless. 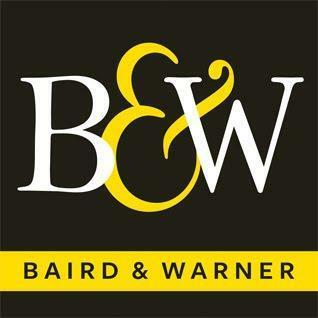 For many people, this windfall is screaming to be put toward home improvement projects and upgrades, large and small. What are the Current Real Estate Market Conditions for Bridgeport? One of 77 officially designated community areas in Chicago, Bridgeport stands out from the rest of the pack thanks to its culturally-rich history and trendy present. Located about three miles southwest of the Loop, Bridgeport is a neighbor to Pilsen, McKinley Park, and Armour Square, and puts sports fans in convenient proximity to Guaranteed Rate Field, home to the Chicago White Sox. It’s also been called “a haven for artists and creative types” by Choose Chicago, and was named one of the city’s “coolest neighborhoods” by CNN. Before its current status as a destination for art and culture, Bridgeport was renowned for being one of the oldest neighborhoods in all of Chicago. It has been the home or birthplace for five mayors, and is also home to the breaded steak sandwich, a Chicago original that still draws visitors to the city. “Bridgeport,” an entry from the "Encyclopedia of Chicago"
Read more: What are the Current Real Estate Market Conditions for Bridgeport? What are the Current Market Conditions for Douglas, including Bronzeville and Prairie Shores? What are the Current Real Estate Market Conditions for Edgewater? 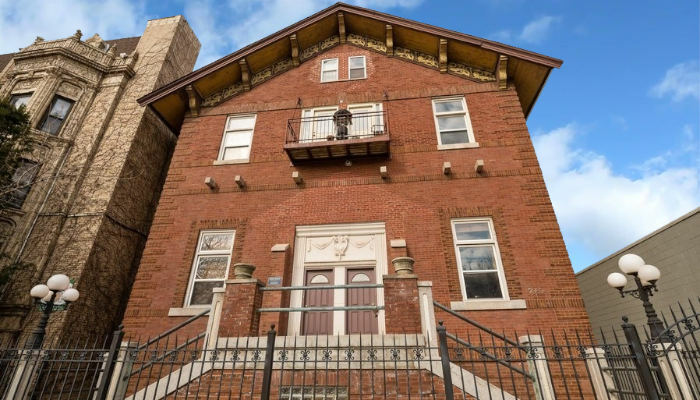 What Are the Current Real Estate Conditions in Logan Square? What Are the Current Real Estate Conditions in Chicago's Near North? In 2019, Should Buyers Wait and See or Dive Right In? What are the Current Market Conditions for North Center?